How do you translate the action at a 15,000-seat hockey arena to a 21-inch TV screen? Lighting is very important, for one thing: too little of it and viewers at home can scarcely follow the puck. As the 1960 NHL Stanley Cup playoffs get underway, the CBC-TV series Scan goes behind the scenes to find out what makes a hockey broadcast. 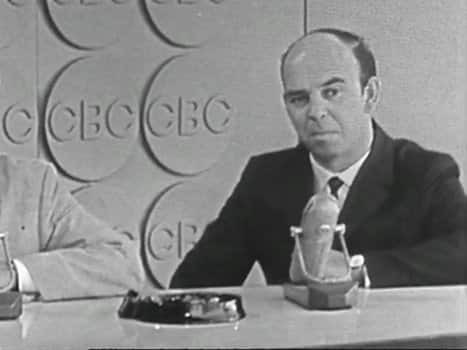 • George Retzlaff, the CBC hockey executive seen in this clip, was producer and director of CBC's hockey broadcasts for 20 years starting in 1953. He is credited with developing instant-replay technology in 1955. 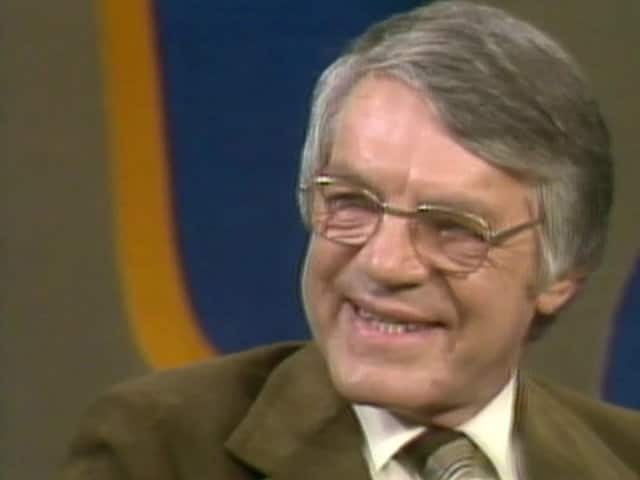 • Early broadcasts of NHL hockey from Maple Leaf Gardens on Saturday nights joined the game in progress at 9:30 p.m., partway through the second period. • Conn Smythe, owner of the Toronto Maple Leafs, sold the TV broadcast rights for the 1952-53 season for $100 per game. When the broadcasts were judged to be successful, he upped his price to $150,000 per season. • When TV broadcasting of NHL games began in Montreal in 1952, René Lecavalier was the French announcer but there was no English equivalent for Canadiens fans. Resourceful viewers turned down the sound on their TVs and tuned into CBC Radio for English commentary by Danny Gallivan. Montreal's English station started the following year. Manon Rhéaume becomes the first woman to play in the National Hockey League.